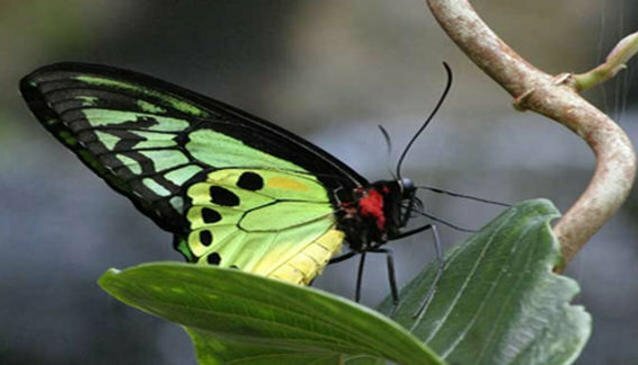 In Singapore’s Sentosa Island with flourishing tropical greenery is the stunning Butterfly Park & Insect Kingdom. Showcasing roughly 1,500 incredibly beautiful butterflies from over 50 species and numerous ever-so interesting insects. Replicating nature’s natural environment, the Butterfly Park & Insect Kingdom is a monument to tiny creatures that often are lost due to urbanization and deforestation. A must-see interactive learning experience for children, tourists and nature advocates. The Butterfly Park & Insect Kingdom has engrossed visitors from all over the globe for years awakening the senses and guaranteed to engage and excite. To fully understand the history of these creep-crawlies join the Insect Revolution Exhibit to learn how they have evolved through the ages to modern time. With special highlights on display that includes complete sets of insect fossils that date back millions of years. Experience new life with the emerging of live specimens in their natural habitat at the Live Pupae and marvel at nearly 3,000 species and rare insects, which includes the largest beetle ever recorded – the Dynastes Hercules beetle. With numerous insects to discover and explore, like using Fireflies after dark for guiding light, there are endless amounts of adventure. And for the more adventurous, there are twice-daily Stage Shows where one can hold giant scorpions beetles and other creep-crawlers.